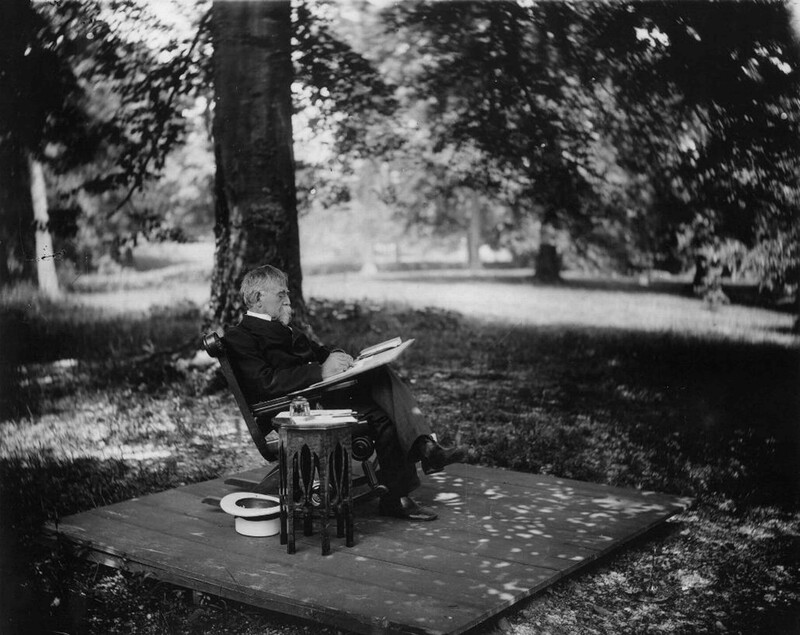 Lew Wallace continued an active life even into his golden years. One project that he had dreamed of for many years was the construction of a study. Wallace was now financially secure and had the funds to build his own private retreat. 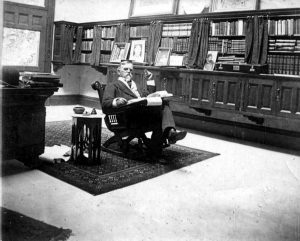 Wallace wrote: “I want a study, a pleasure-house for my soul, where no one could hear me make speeches to myself, and play the violin at midnight if I chose. A detached room away from the world and its worries. A place for my old age to rest in and grow reminiscent, fighting the battles of youth over again.” Wallace designed it with a combination of Greek, Byzantine and Romanesque architectural designs. The main building is 30 foot high and capped with a copper dome. Attached is a 40 foot tall tower that houses an enormous fireplace. To the rear is a workshop where Wallace tinkered on his inventions. Yes, he was also a patented inventor! The estimated cost of the study was a princely sum of about $30,000. The building now houses the Ben-Hur Study & Museum. It is well worth the trip to Crawfordsville and learn more about Wallace there! Lew Wallace was an honorable and service-minded man. Anticipating the Spanish-American War of 1898 Wallace withdrew campaigning from his senatorial race and offered to raise and lead a regiment—at the age of 71! He wrote: “In view of the certainty of war with Spain, I today tendered the national government my services in the field.” Wallace was respectfully denied the commission. He then tried to enlist as a private—denied again. I have only scratched the surface of Lew Wallace’s life in my last six columns. Most of his books are still in print. I strongly recommend reading “Lew Wallace: Militant Romantic” by Robert and Katharine Morsberger. In 2016 Indiana will be celebrating its 200th year of statehood. This will be a time when we recognize those who have left a lasting influence on us. I can think of no better couple to honor than Lew and Susan Wallace and should top the list of Hoosiers acknowledged during Indiana’s bicentennial commemoration.